"I am passionate about providing individualized and compassionate care to the elderly population in our community. It is rewarding to be able to assist them manage their chronic medical conditions while maximizing their quality of life." 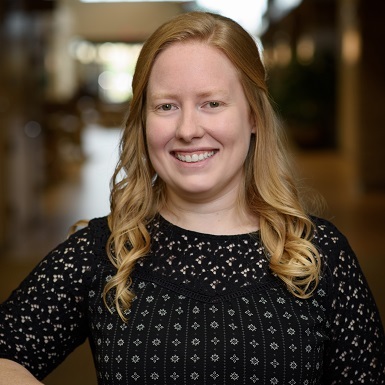 Andrea Blegen earned her Associate’s Degree in Nursing from CVTC in Eau Claire, WI and went on to receive her Bachelor of Science Degree in Nursing from the University of Wisconsin-Eau Claire. She completed her Doctor of Nursing Practice in Adult-Geriatric Primary Care at the University of Wisconsin-Eau Claire. Andrea has had a variety of experiences in many areas of geriatric care including skilled nursing facilities, assisted living and memory care in both management roles and with direct patient care. Her practice provides comprehensive preventative care as well as acute and chronic disease management for the elderly with a holistic and palliative approach. Andrea takes a special interest in elderly and dementia care, improving care transitions, palliative care, and chronic disease management.